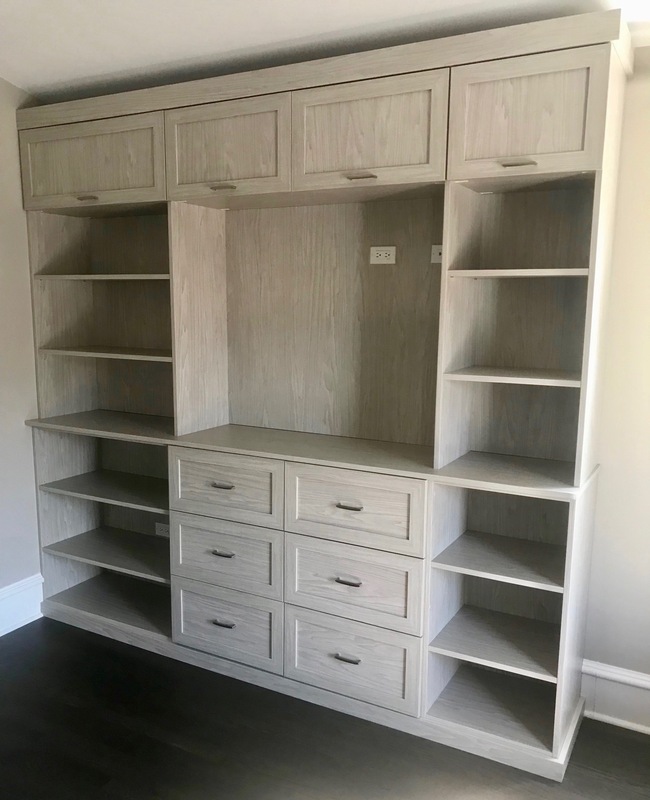 Located in our client's bedroom, this unit houses numerous drawers for clothing, display shelving and space for a flat screen TV. Finished in the color Syke. 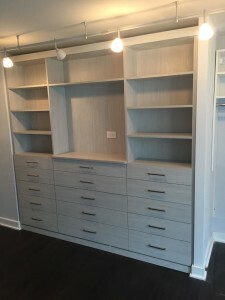 This Roscoe Village rowhome client needed a place to home run his tv and audio system. 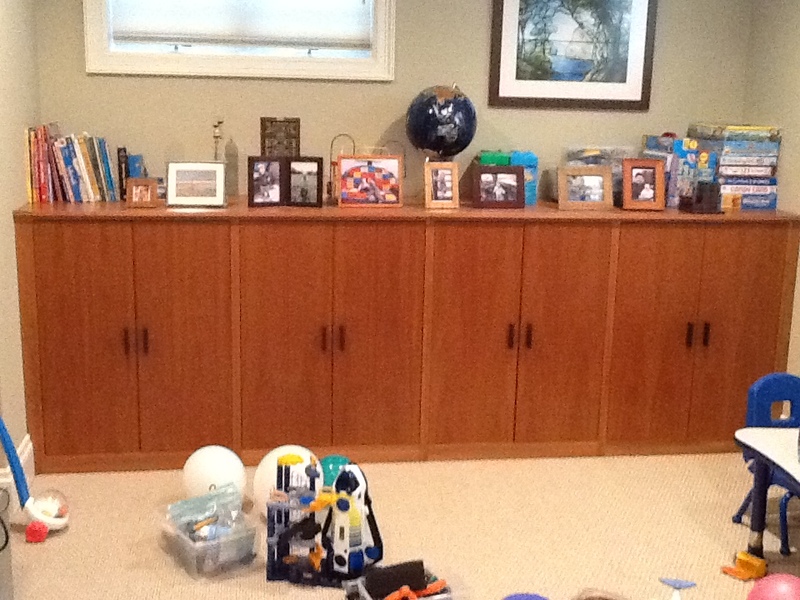 And, he wanted it to match the existing wood in his room. We gave him a perfect match! 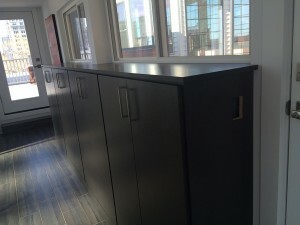 This wood system was installed in 4 weeks.